John Rutter set us a challenge to find composer Barbara Bell, and we managed to do it. Now the two have been re-united and her carol has been performed at the Royal Albert Hall. The 40-year old mystery of what happened to a schoolgirl who won a national competition to compose a Christmas carol was solved by John Suchet just two days after a campaign to find her was launched on Classic FM. Not only did John track down Barbara Bell, who was 17 when she wrote her winning composition, but he reunited her with composer and carol maestro John Rutter who arranged for her carol to be sung live at the Royal Albert Hall. It received its first performance last night, sung by vocal ensemble Voces8 with the Royal Philharmonic Orchestra, directed by John Rutter himself. Speaking to John Suchet after the performance, Barbara Bell said she was "lost for words." "It was an immensely special occasion 40 years ago,' she said. "I never thought I’d get the chance to relive it as a grown up, as somebody who was less intimidated by the immensity of the occasion." John Rutter thinks that Barbara's carol is "going to have a long life. It's haunting. It's wistful. It's memorable." Back in October John was surprised to find an unexpected email from the choral composer John Rutter, saying he was trying to find Barbara Bell. 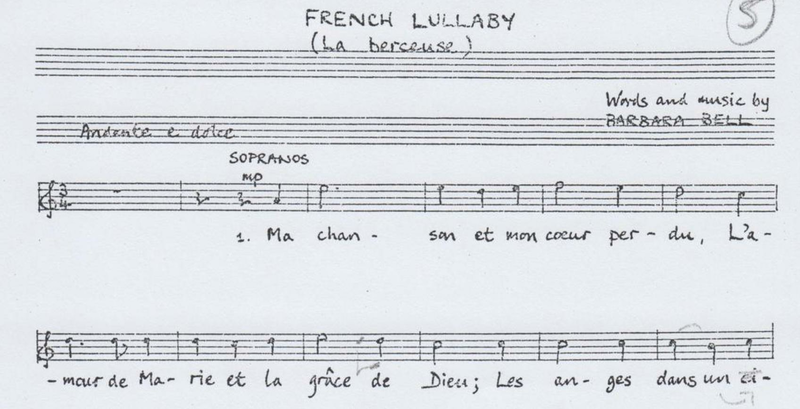 "She wrote the words and music of a rather haunting and lovely carol called La Berceuse – sub-titled French Lullaby – and wrote the text in French, despite being English," Rutter wrote. "It was performed by the Bach Choir at the Albert Hall that year, and then – nothing!" 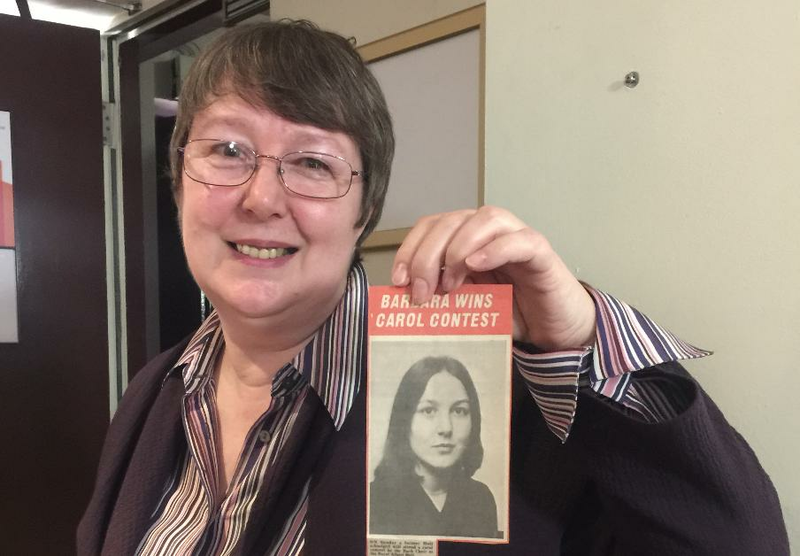 The composer wanted to include Barbara's carol at upcoming Christmas concerts and, with considerable difficulty, managed to trace a copy of La Berceuse from a former choir member. But his efforts to find its composer had come to nothing. "Despite writing to her school and putting out a Facebook appeal, we haven't tracked down the composer," he said. "I am sure she would love to hear her carol performed again at the Royal Albert Hall after 40 years." After the appeal was made on Classic FM, John Suchet received an intriguing email from a listener called Claudia. "I was at school with Barbara - the Holt School Wokingham [pictured]," she wrote. "Of course we sang her carol at our Christmas concert that year and we all loved it." Claudia revealed that their music teacher was called Lorna White. She, John managed to discover, is secretary of a singing group in Wokingham. When he called her, she initially didn't recall the carol competition or Barbara Bell. But a few hours later, Lorna called back saying Barbara’s parents live in a Scottish village near Kelso. Remarkably, she still sends them Christmas cards. Finding their phone number was the next step. No one was more surprised than John to find that, when he rang Barbara Bell's parents, Barbara herself was standing next to her father. She was stunned when she found out that John Rutter was looking for her. Recalling the carol's first performance in 1975, she said she was "terrified". Ironically, despite the fact that her winning carol was in French, Barbara failed both music and French at school. When John Suchet called John Rutter to tell her he'd found Barbara he was equally shocked. "That's made my day, and made my Christmas too," he said, "because ever since she wrote that lovely carol it's been going round and round in my head on and off. Magic can happen!" Now, John Rutter's arrangement of Barbara Bell's carol has been recorded by the vocal ensemble Voces8 with Thomas Hewitt Jones on harpsichord.